Relationships are nothing like a simple mathematics algorithm. It's the variable human factor in them that makes them far more complicated and difficult to understand. Sometimes we fall apart and grow distant from someone we really love and wonder if it is worth giving the relationship another shot. Well, truth be told, in Donald Miller’s words, “When you stop expecting people to be perfect, you can like them for who they are.” But the problem is that we tend to forget this sometimes and let things go because, for us, our ego becomes bigger than the relationship. However, if, at any point, you realise that your love for him is more important than those little things that annoy you, it's okay to give your relationship a second chance! Sometimes, being overwhelmed by emotions of sadness or anger, we end up taking big decisions without properly thinking them through. However, after a break-up, if you see that all your friends and family can’t help but talk positively about your man, then maybe you need to reconsider your decision. While, there is no doubt that you know him best, sometimes our judgments do get clouded by the one bad thing that happened. Retrospectively, when you realise that you’d be much happier having him in your life than not having him, then you must consider giving your relationship another chance. Distance brings perspective and sometimes, a short break is all that is needed to kick-start a relationship again and forget about the little things that bothered you. When you sit down to calmly analyse what went wrong in the relationship, it is possible that you may conclude that, in fact, you were both at fault. If that’s the case then it is only wise to forgive and forget, and get him back. Dear girl, even after whatever transpired and caused you and your sweetheart to fall apart, you still can’t stop missing him, thinking about him and constantly being reminded of him, then it’s surely worth another shot. Sometimes, a few compromises from both partners is what it takes to make the relationship work. While it may seem difficult to make some minor changes, but you never know that it may all be worth it if he is the one. If you simply can’t get yourself to delete his photos from your camera roll, let alone your memory, then we’ve got a serious problem here girl. 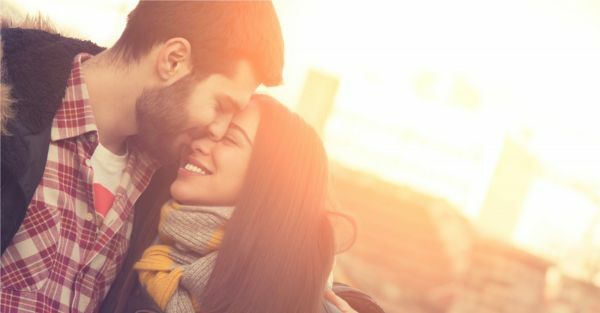 It’s possible that the reason for the break-up was not strong enough to keep you and your partner apart, and it is time to start dating again. A mature introspection about your relationship may leave you feeling that you are prepared to make things work, despite of the differences you have. This is a clear sign that you give your relationship another chance and let destiny take charge. After all, opposites do attract! If you feel that he is honestly apologetic for the mistakes he made while he was dating you and now he is trying his best to woo you back into his life, it means he really loves you. This is a clear signal for you to give him a second chance!